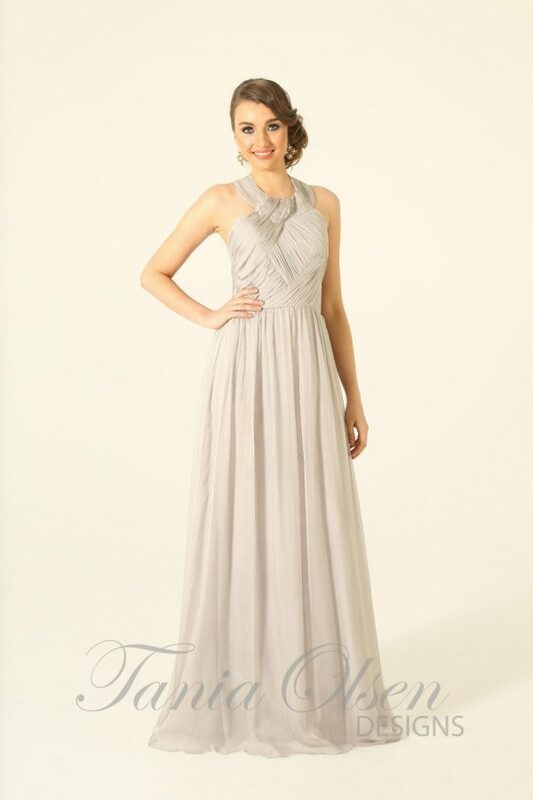 The soft jersey Kelly bridesmaid dress features a high cross neck complemented by a slightly wrapped skirt. This makes the prefect cocktail dress for a day at the races. The soft jersey Kelly bridesmaid dress or formal gown features a high cross neck complemented by a slightly wrapped skirt. 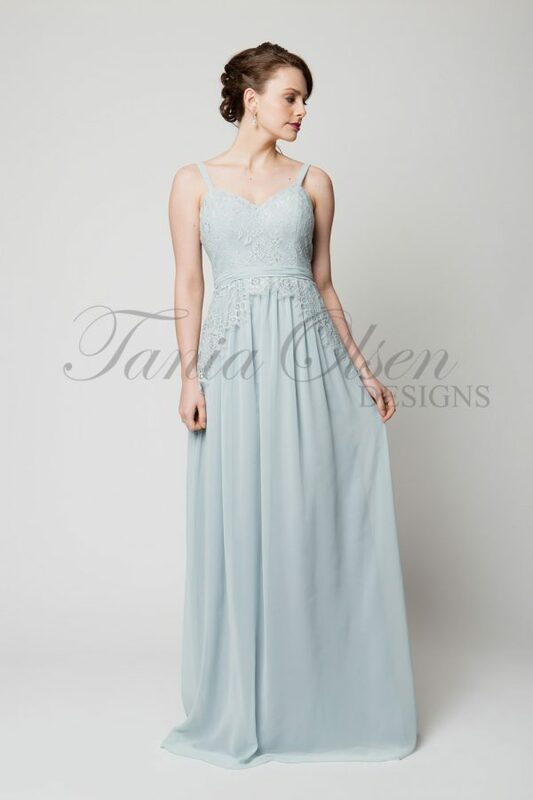 This figure hugging gown falls to a calf length skirt ensuring it is versatile enough for your bridal party or cocktail event. Model is wearing size 8 (AUS) and is 5’8″ (174cm) tall, has a 89cm bust, 102cm hips and a 66cm waist.